A US hedge fund has made a profit of at least £90m ($127m) by correctly betting that shares in struggling Royal Bank of Scotland would go down in value. Paulson and Co's giant profit has been revealed because investors have had to disclose any planned short selling in UK banks since 13 June. Short selling involves borrowing and selling shares in a firm in the hope of subsequently buying them back for less. The hedge fund, or any other investor, then makes a profit on the difference. Paulson and Co was able to make such a large profit since Royal Bank of Scotland's (RBS) shares - like most in the UK banking sector - have fallen heavily since last summer. The declines came after many of the lenders were forced to reveal multi-billion pound bad debts linked to the collapse in the US housing market. 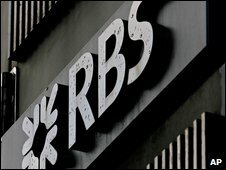 RBS subsequently had to be bailed out by the UK government, which now has an almost 70% stake in the company. The bank also said earlier this month that it expects to report a 2008 loss before write-downs of between £7bn and £8bn. A spokesman for the UK's financial watchdog, the Financial Services Authority, explained that the high profile ban on short selling in financial stocks from 19 September last year to 16 January 2009 only prohibited newly taken short positions or contracts. They confirmed that it did not apply to any short selling deals already in place. The revelation of Paulson and Co's profit came as a number of senior hedge fund managers were questioned by MPs on the Treasury Committee. After being questioned specifically on the Paulson & Co case, Andrew Baker, of the hedge fund trade association, Alternative Investment Managers Association, said he believed "very strongly" that the global industry would be in favour of a single worldwide rule on short selling, with some kind of restrictions and a disclosure regime. Fellow boss, Stephen Zimmerman of NewSmith Capital Partners, said it was wrong to blame short selling for the woes in the banking sector. "You can see the huge destruction of wealth that has taken place in these companies and I do not believe that it's down to short selling of their shares," he said.